James Comey, the former FBI director fired by President Trump, has titled his upcoming book "A Higher Loyalty: Truth, Lies and Leadership." 'Loyalty' is a key word for Comey. He was terminated earlier this year by a president who he says demanded it from him. Comey was in the midst of an investigation into connections between the Trump campaign and the Russian government -- specifically National Security Adviser Michael Flynn -- when he was removed as FBI director. In testimony before Congress in June -- after his firing -- Comey said Trump told him "I need loyalty, I expect loyalty" during a January dinner meeting where he was alone with the president. Trump also asked him to let go of the investigation into Flynn. Comey testified that after his firing Trump attempted to defame him and the FBI. According to a description of the book on Amazon (AMZN), where it's offered for pre-sale, Comey will touch on his dealings with the Trump administration and share "his never-before-told experiences from some of the highest-stakes situations of his career." "From prosecuting the Mafia and Martha Stewart to helping change the Bush administration's policies on torture and electronic surveillance, overseeing the Hillary Clinton e-mail investigation as well as ties between the Trump campaign and Russia, Comey has been involved in some of the most consequential cases and policies of recent history," the description reads. The book, which has a deep blue cover similar to the color of the seal of the FBI he once served, will go on sale on May 1, 2018, about one year after his termination. The book is being published by Flatiron Books, a New York-based division of Macmillon. 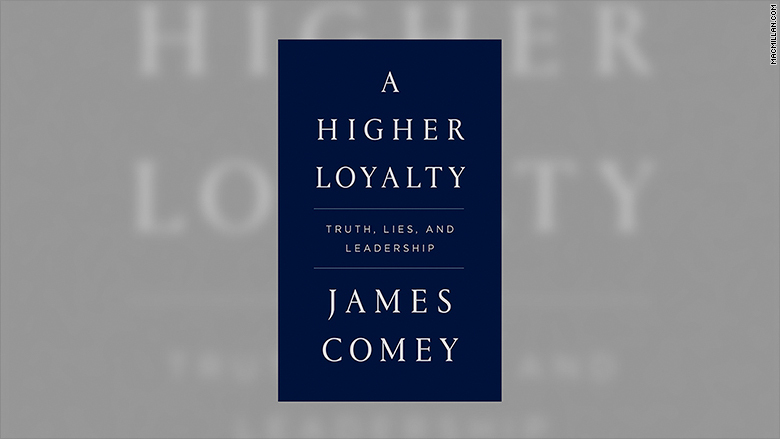 James Comey, the former FBI director fired by President Trump, has titled his upcoming book "A Higher Loyalty." 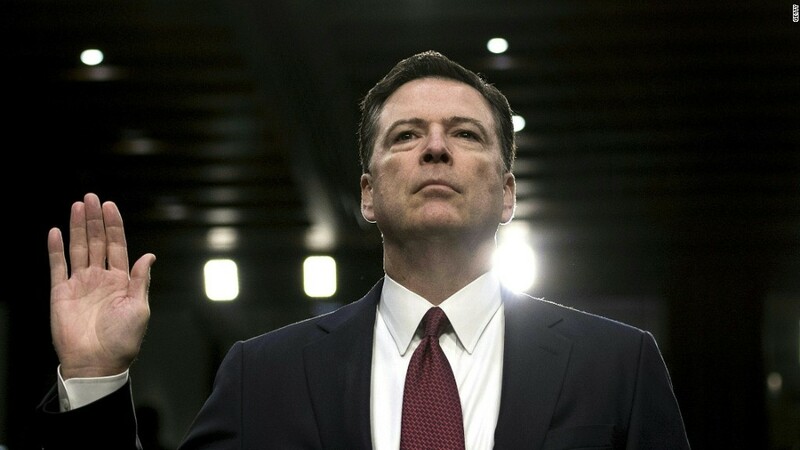 Prior to his four-year tenure as FBI director, Comey served as the U.S. attorney in Manhattan, and the U.S. deputy attorney general for President George W. Bush. His profile skyrocketed after he held a news conference about his agency's investigation into Hillary Clinton's emails during the 2016 campaign, and then again, when he testified before Congress about working with Trump.